American Kobe beef-Wagyu Beef Bone-In rib-Eye Steak "Cowboy Style"
Highly Marbled and Succulent this is one of our best selling steaks. Custom proccessed and aged at a a locally owned USDA inspected family butcher these 15-18 oz. American Kobe-Wagyu Beef Bone-In Rib-Eye Steaks will not dissapoint. If your a steak lover you will absolutely love this cut, All our American Kobe or Wagyu is now a minimum of 87.5% Japanese Black Wagyu Genetics, what most online stores will not tell you is that a majority of American Kobe or Wagyu Beef available in the United States is only 50% Wagyu Genetics because they can finish them quicker but sacrifice marbling and tenderness. 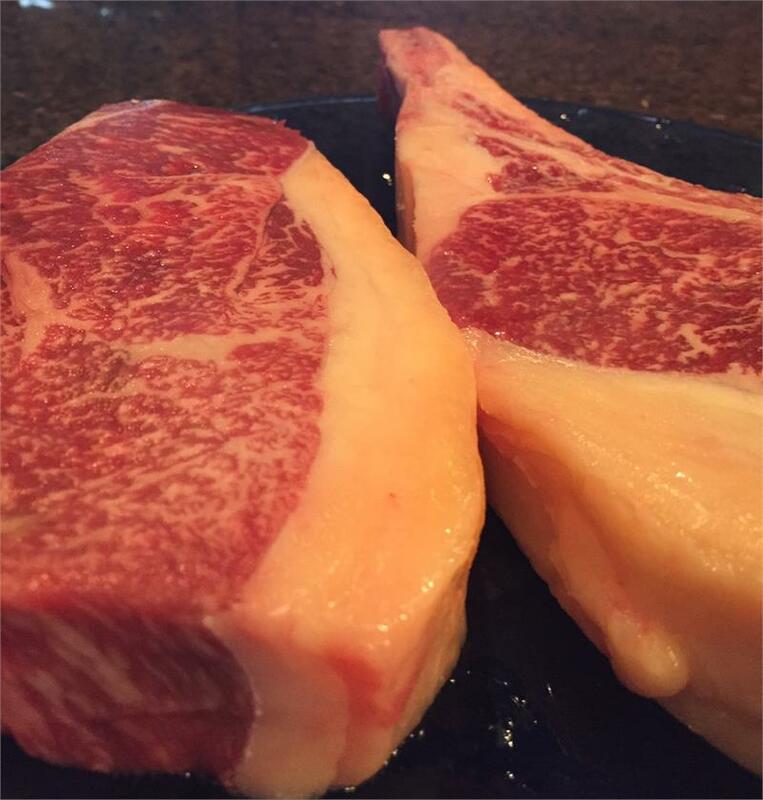 We strive to have the finest Wagyu Beef available and spend almost 3 years raising each Wagyu Steer. If you desire something better than the commercially available Wagyu Beef currently available try our steaks. 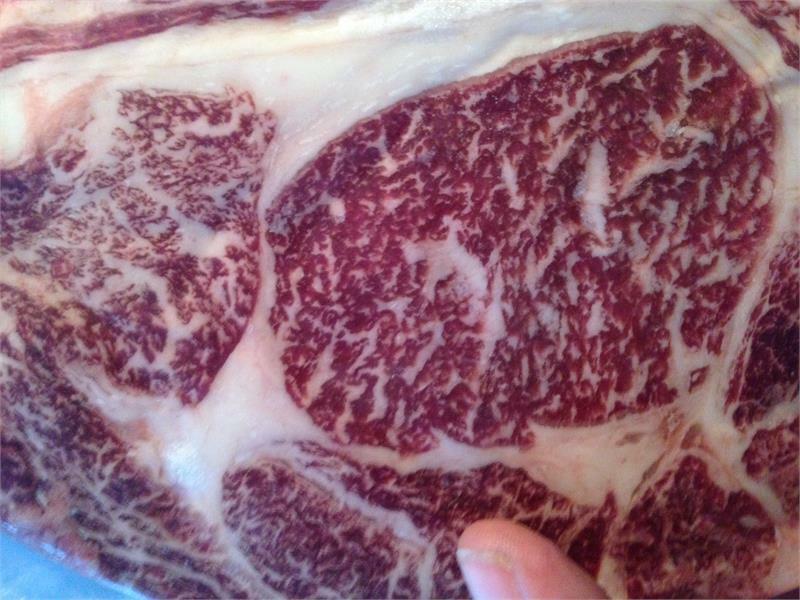 limited stock on wagyu rib eye steaks currently, we will email you if you ordered these steaks and we are out of stock. if they are out of stock they will normally ship in approx. 1-2 weeks.